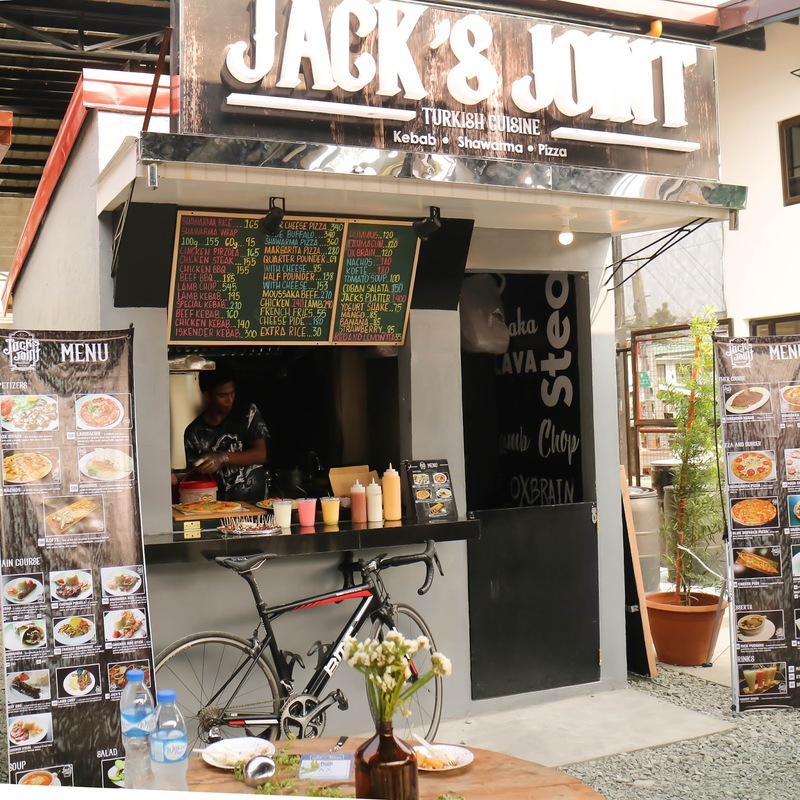 So, when something comes up and it's just 15 minutes away from us, how can I not get excited and gather up my family and friends to discover our own version of this millennial food trend. 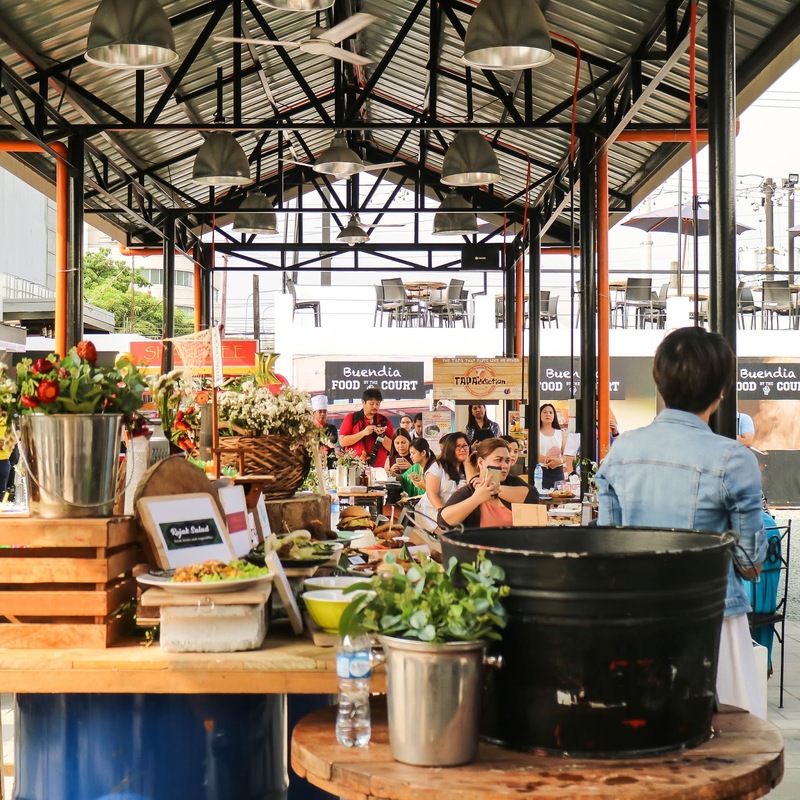 I've always been a fan of food trucks and The Gourmand Market, and for some reasons I'm always drawn to food fairs, but these kind of events are scheduled and for families like ours who loves going back to places we're fond of, and always look for the food we've grown to love with, going to these kind of events would needed to be planned and in most cases this doesn't give utmost happiness to my kiddos. Hence, a food park has to be established for that fixation. SUDECO short for Subic Bay Development & Industrial Estate Corporation was the one who brought this idea, a merging of basketball and food. 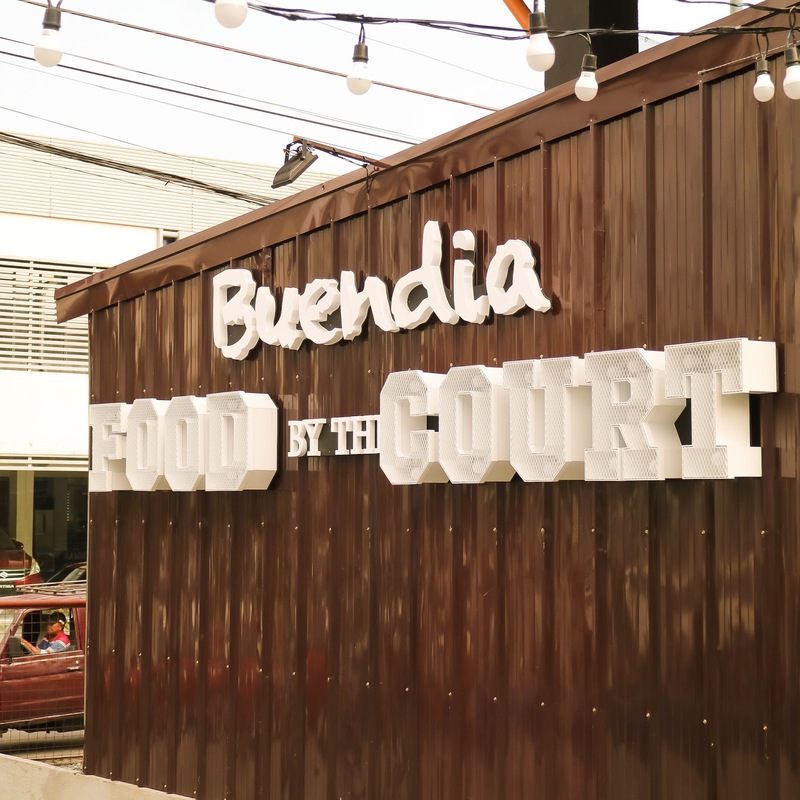 As it is, the food park along Sen. Gil Puyal Ave (formerly known as Buendia Ave., it's namesake) stands side by side a refurbished basketball court. I guess what Filipinos always love to do, play or watch a ball game or gorge in tantamount of food, is highlighted when they decided to push through with the project. 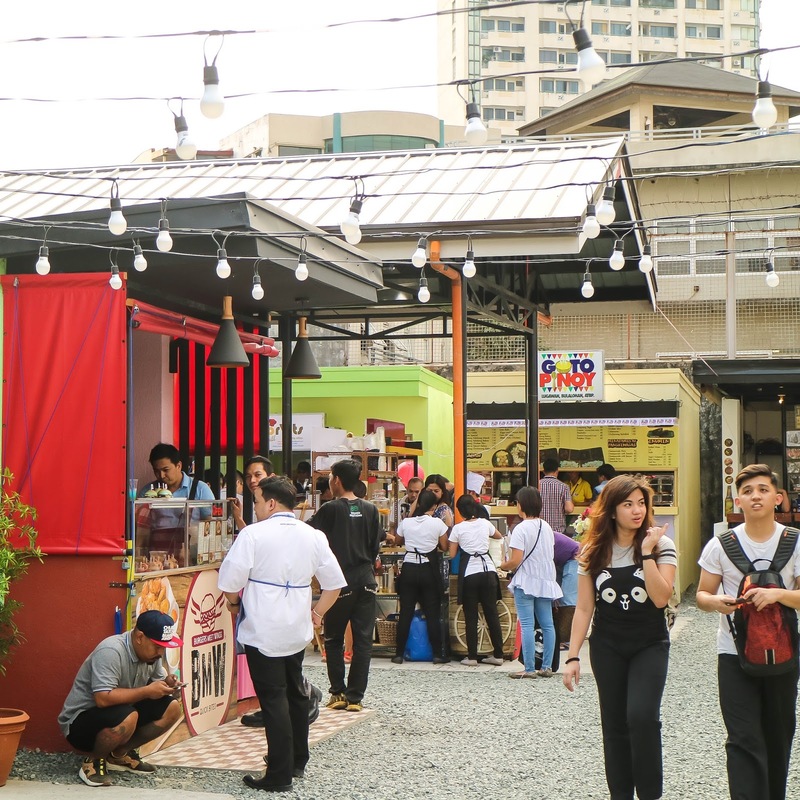 This food park has enough parking and it's easy to find, it's just beside Dohle Haus and fronting Jollibee along Sen. Gil Puyat. 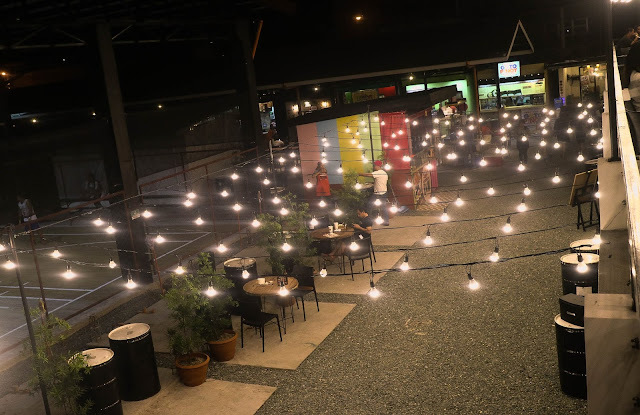 A walking distance from SM Hypermart and Cash and Carry Makati. 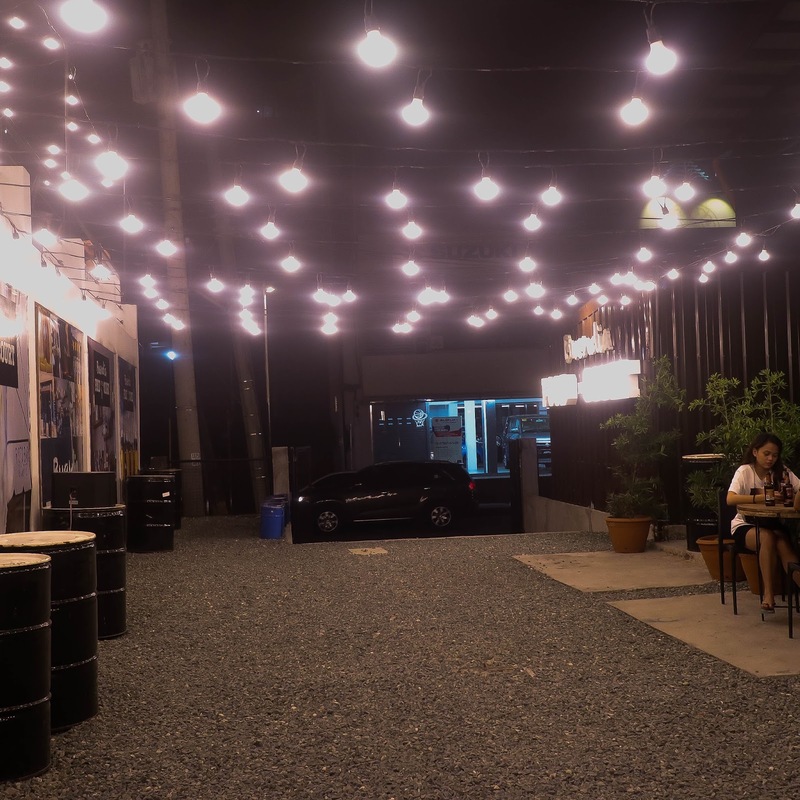 They are open everyday and serves at 5 pm till 12 midnight. It houses 17 different food stalls catering different cuisines and food concepts. The food park has a covered dining area surrounded by the merchants, its a chic-industrial type of backyard dining with wooded tables an comfortable chairs. There are washrooms on both ends and an upper floor dining as well with umbrellas. 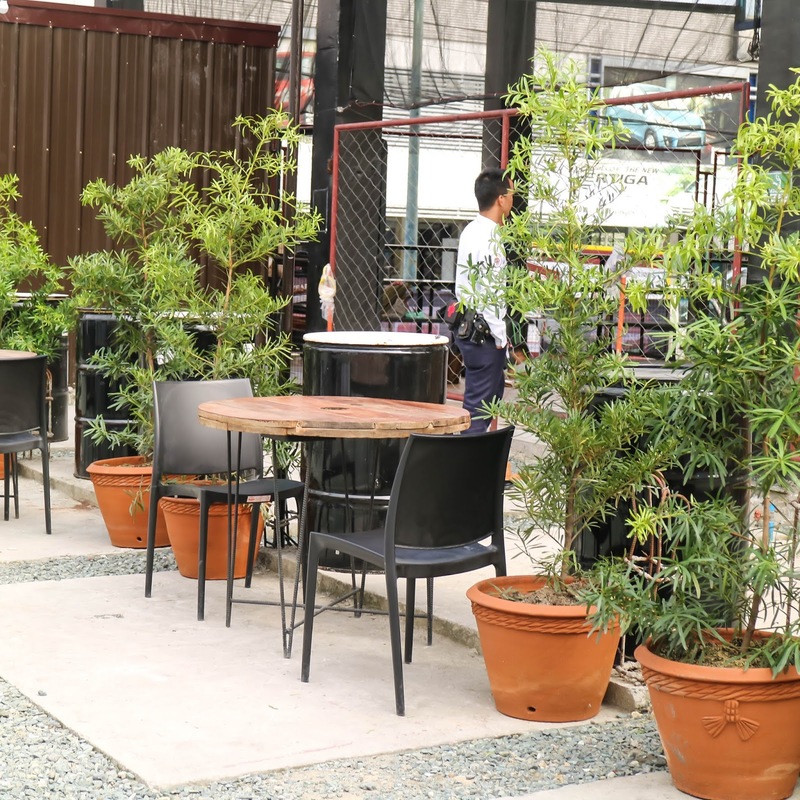 Though the dining area is concrete-paved, all over the vicinity is covered with gravel so make sure to wear comfortable shoes. Here are some of the food stalls and the food you can fawn over at Buendia Food by the Court. Must try with the group are their colored burgers, The buns were tinted using natural colors from vegetables, such as beets, malunggay etc. 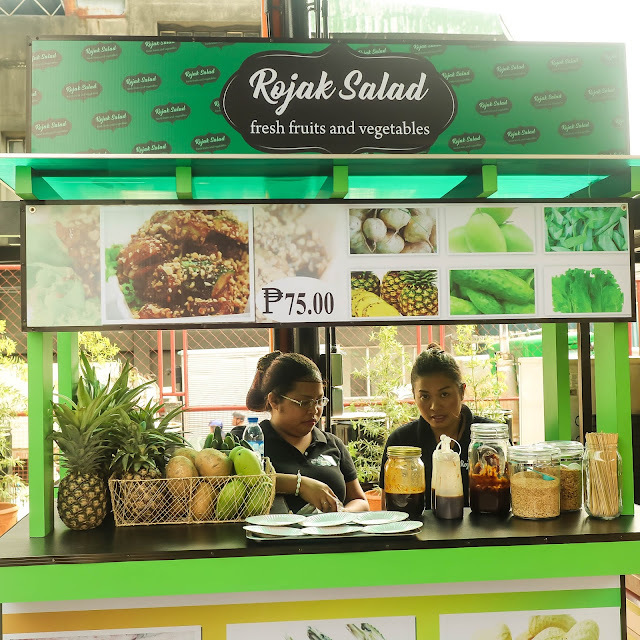 Another healthy treat-serving stall awaits you, with a farm to table juice and coffee conecpt which aims to support the local farms offering smoothies, coffee and healthy snacks. For the careful one who cares so much about diet, there's a salad station inspired from the authentic Malaysian famous salad bought on the streets. 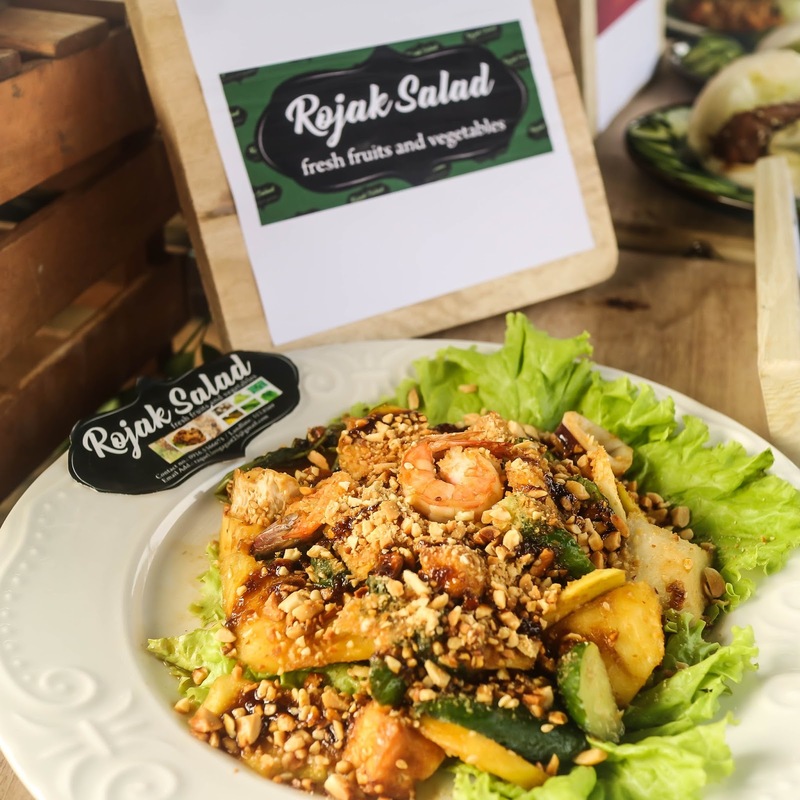 The tamarind-based dressing goes so well with the mix of fruit and veggies, with toasted nuts and shrimps to add more texture and crunch to the bowl. 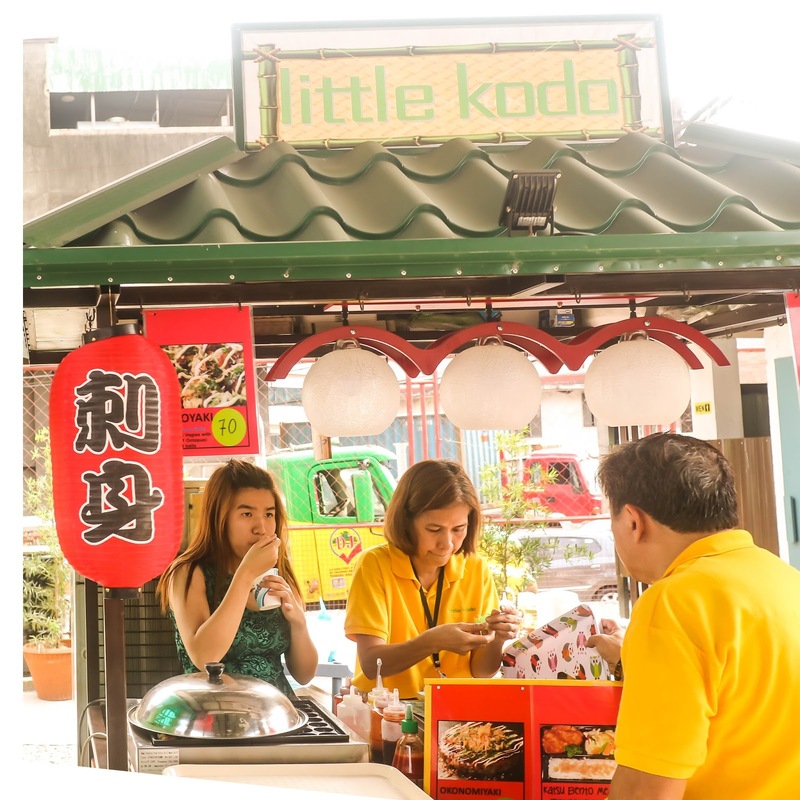 This quaint stall got all your cravings for Japanese food fixed, as they have takoyaki, ramen, sushi and more. Jack's Joint is for your Turkish delight dreaming. The adventure foodie in you can gloat on kebabs, shawarma and their unique take on pizza and rice dishes, but make sure to try their Ox Brain skewers. There's a stall dedicated to serving beers and other beverages, but you can opt to have this refreshing yogurt shake, which comes in strawberry and mango flavor. If you think there's nothing special about this smokery, then think again, like New York's famous Mighty Quinn's they smoke their meats for hours and hours, trapping all the flavors and moist in the meat adding that fiery flavor to your every bite, whether be it chicken or beef. Bakmi Nonya is a stall expert in classic Indonesian dishes. One of the best Beef Rendang I have ever tried. 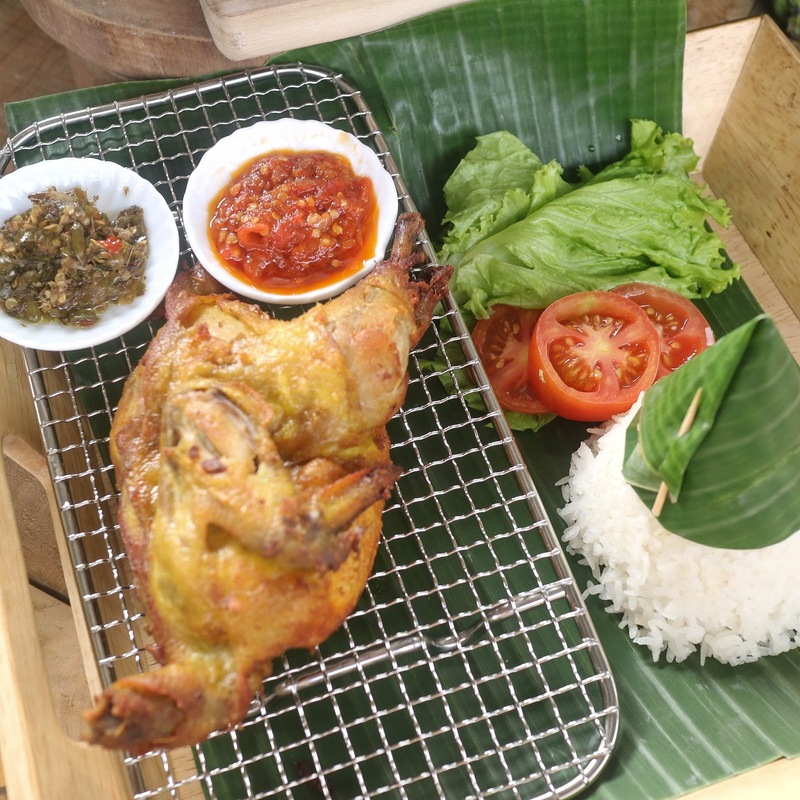 Their Ayam Goreng is another dish you'll definitely be coming back for. 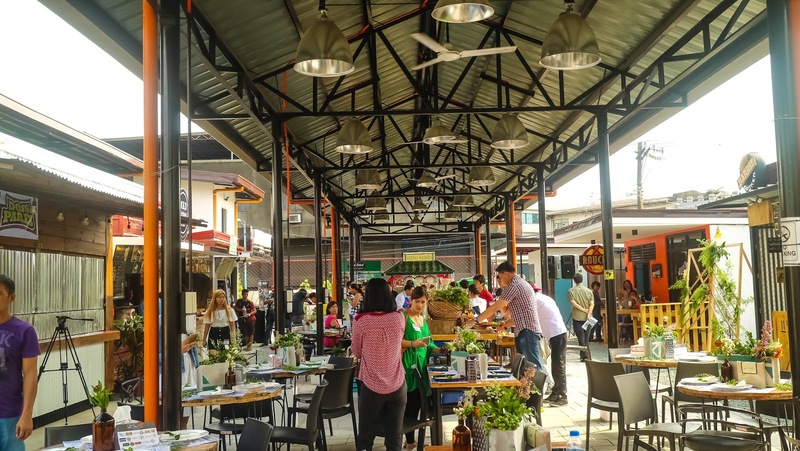 This foodie place is like eating around the world, as you can also find something inspired from Mexican street dining, in Lamexa. 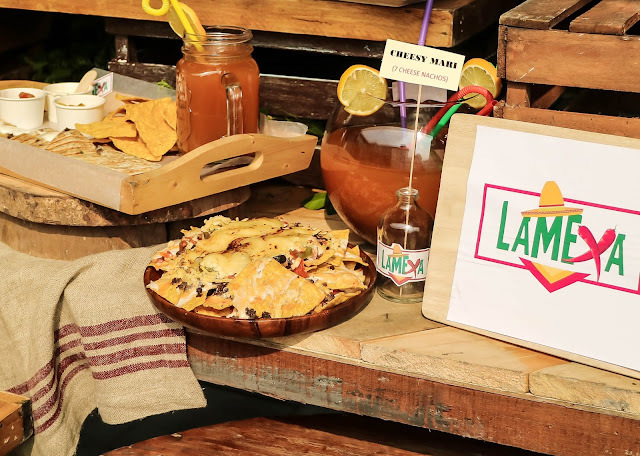 Your gang will get gaga over their signature iced tea served on a fish bowl, pair it with nachos. Shang Kee is an innovative take on steamed buns. Instead of the pre-filled usual siopao bun, they make it into sandwich. 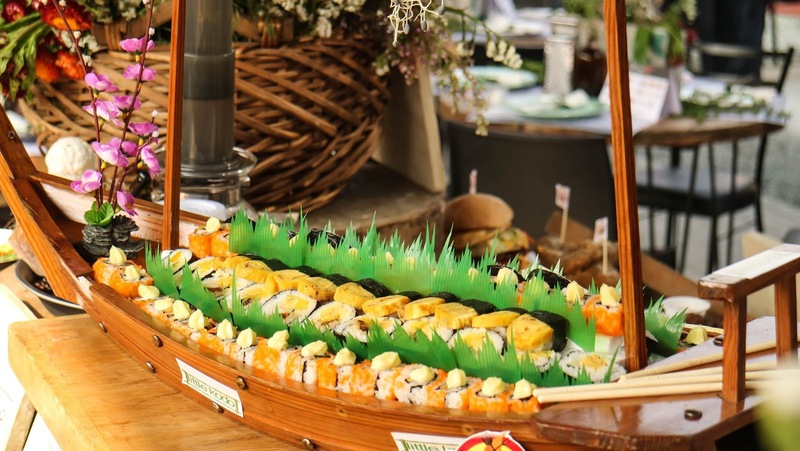 What'seven perfect is that you can choose from different variants and you also get fresh veggies in your special flavored buns in pork belly, pulled pork, chicken teriyaki, pulled chicken, crispy chicken, peppery beef or crispy pork chop. 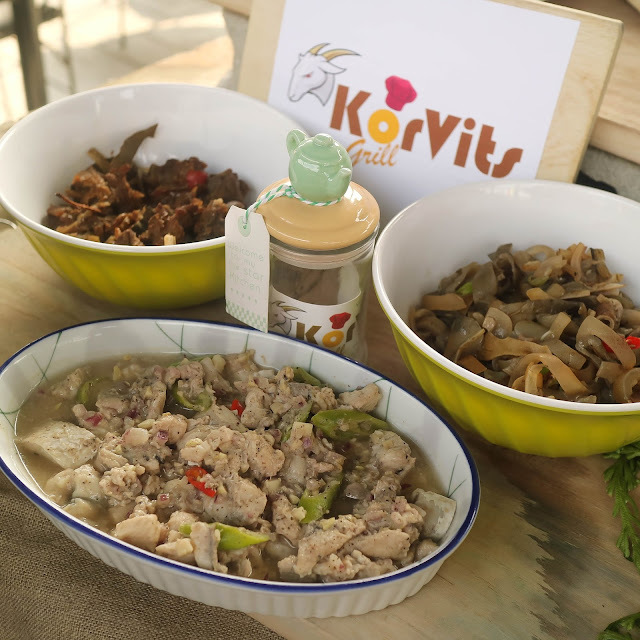 We also have something for both regional and traditional Filipino dishes specializing in goat meat, yes, you heard it right, "kambing" dishes. I doubt you can ever find something like these elsewhere. 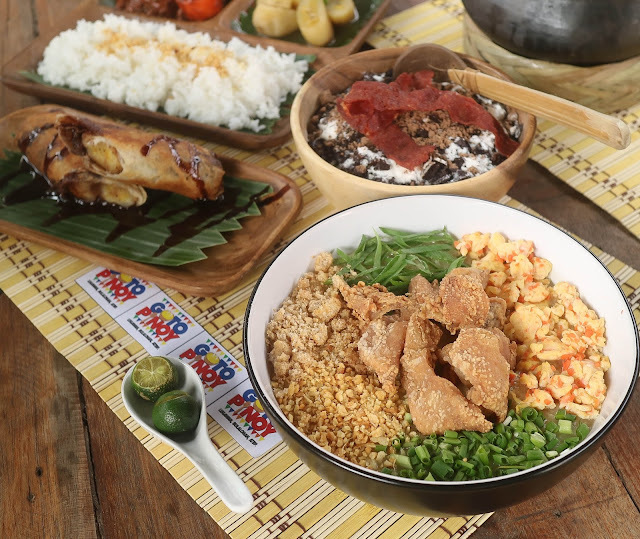 Goto Pinoy is a leveled up Filipino "meryenda" (snack) favorites. From Turon, to Champorado up to, of course, their specialty goto, it's snack time all night, everyday! 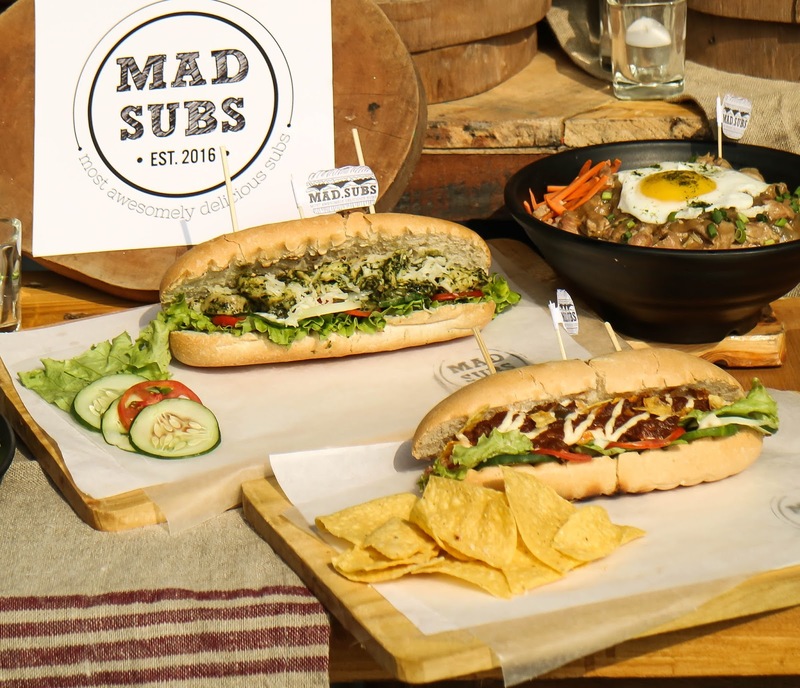 Submarine sandwiches hasn't left the foodie scene yet, in case you might have not known. Nope, not as long as Mad Subs PH has wits and power to make a huge and mouthwatering one for you. Get your beverages here. They also have a carry local craft beers. You can't go wrong with Honey's Moms' Breaktime USDA Beef Tapa. You can have a hefty serving of this award-winning beef tapa over some pasta, rice or pizza. 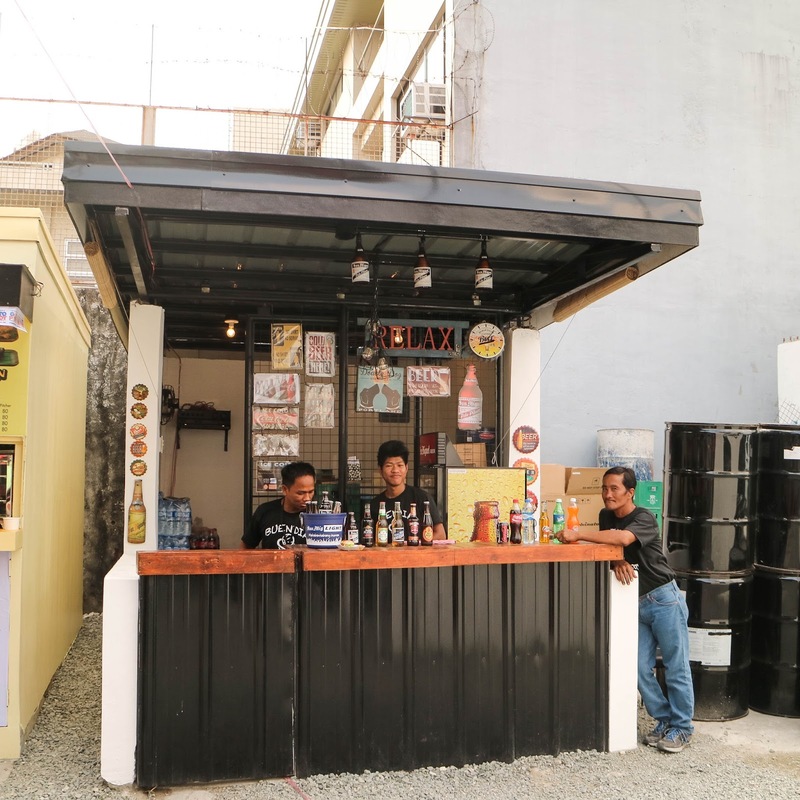 If you think nothing beats a fiesty plate of sisig over good bottle of beers and company, fret not, cause you can also spot this stall with cooks from Lamexa whipping up a good batch of sisig. 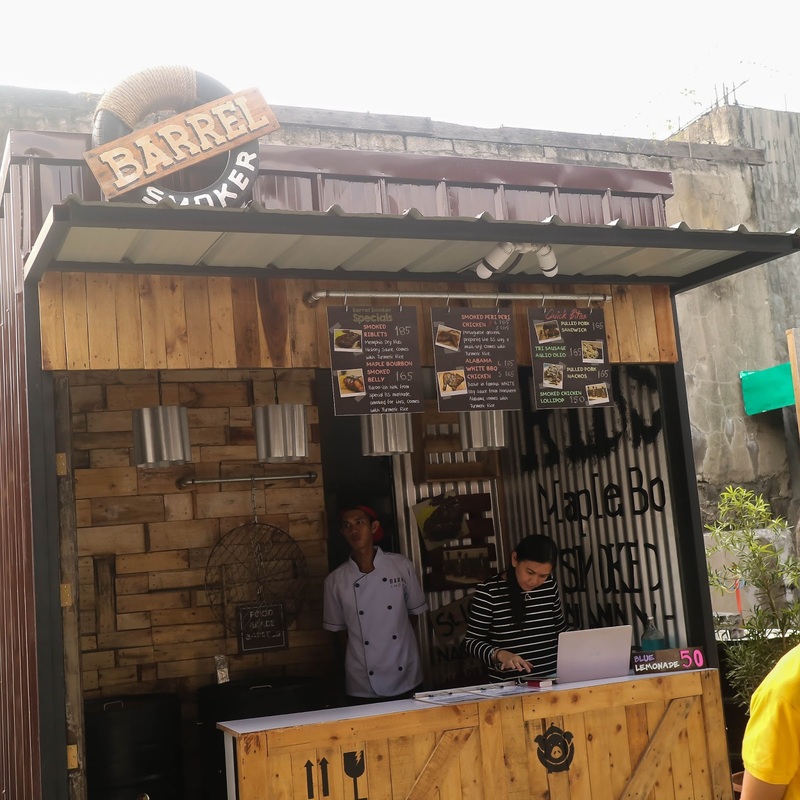 There, Makati can now compete once again with the ever growing food trend catering to different kinds of food-lovers or simply hungry tummies who happens to be in the vicinity or maybe stuck in traffic. 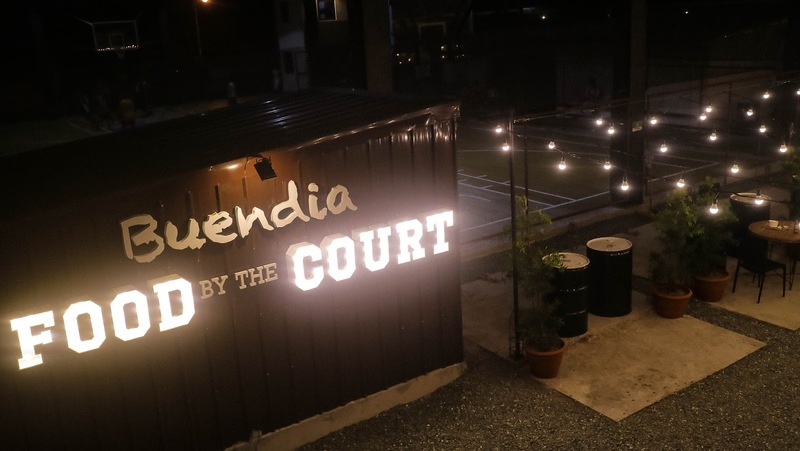 There are 17 food stalls waiting to cater to your dining whims and in a backyard feel, or rather the sporty basketball venue.